Our Women's Health program provides access to comprehensive health services to ensure healthier women, mothers and infants. Services include early cancer detection, domestic violence prevention and intervention, and family planning. All our services are designed for all women and their families at or below 185 percent of the Federal Poverty Level. Free text message tips for a healthy pregnancy and first year of life. 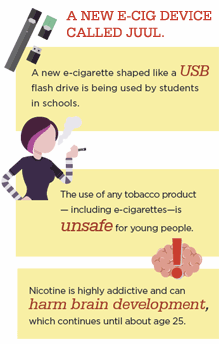 A new e-cigarette device called Juul and shaped like a USB flash drive is becoming increasingly popular among high school students, bringing the risk of nicotine addiction and damage to young people. 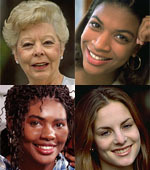 For more information about Women's Health services, contact your local health department or call (601) 576-7856.